This project was a labor of love and exemplifies the key role art played in relationship to the overall color palette, textiles and furnishings selection. Designed for a young couple with a keen interest in art, the first phase involved furnishing this contemporary urban three bedroom home in a color scheme established by a painting that was commissioned at the inception of the project. While the overall vibe of this home is understated, with soft, muted hues, the underlying feel is sophisticated, with the highest quality materials applied to impeccably crafted artisan furniture. 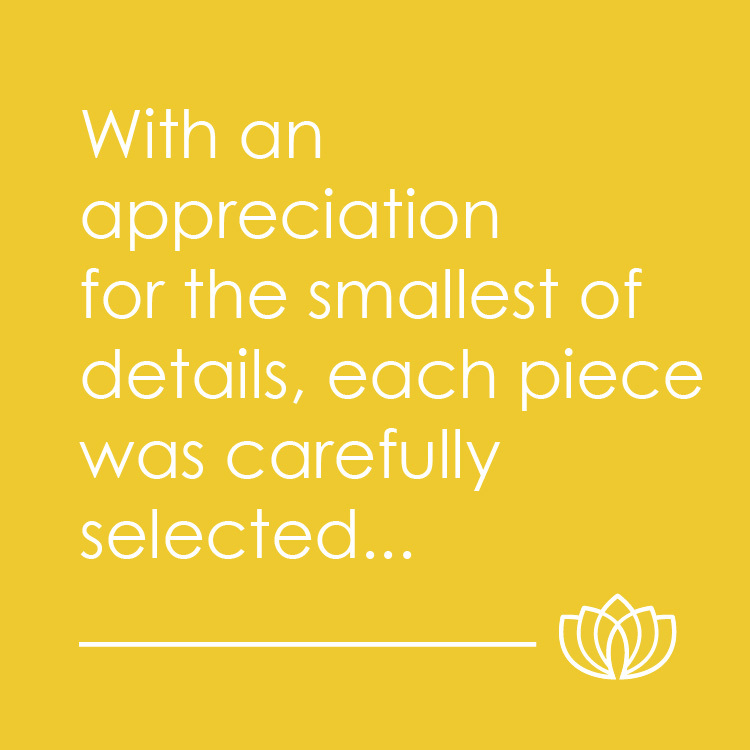 With an appreciation for the smallest of details, each piece was carefully selected to play a part in this thoughtfully curated home. Not to be taken too seriously, playful accessories and whimsical shapes are incorporated throughout. For the main living area, with adjoining dining room and nook, the color scheme of navy, blush pink accents and natural flax/light gray as the grounding color was set by the client. Despite a softer than usual color palette, Lotus Bleu's signature aesthetic of overlapping patterns and textures is unmistakable, from plush mohair, luxuriously soft velvets, to indigo-dyed shibori fabrics against cool metals and warm wood finishes. Integrating vintage designs and juxtaposing them with the new is another hallmark; here a vintage mid-century chrome chair rejuvenated in a Christopher Farr CLOTH textile sits next to an Ilse Crawford side table in a white chestnut finish. Cloud motifs permeate throughout, as the house sits on a hilltop perch with expansive views and the ethereal scene often features rolling clouds and fog. Informed by Jeannie's recent trips to Sweden, Denmark and Norway, the furnishings have a Scandinavian flair, with the use of light-colored woods like bleached walnut and white oak, and gray lacquered iconic Wishbone chairs. Moving from the light and airy living area, the scheme for the master suite moves to a more saturated and moody ambiance, with dark teal walls and grounded by a violet to teal ombre, diamond patterned, Tibetan knotted rug. The sideboard in white lacquer and flax-colored custom textiles pop against the dark backdrop, but the rich texture of a cerused walnut finish warms the space. While the oil painting set the stage at the beginning, completing the project with carefully selected artwork became phase two. Working directly with up and coming women artists on custom commissions for feature areas, we also worked with an art consultant to round out the art collection. With a wide array of mediums represented, from paintings, carved Redwood sculptures, to a verre eglomise (gilded painting on glass), each space invites one to pause, contemplate and enjoy the artwork through the motions of everyday life.